REDEEMING THE TIME - time flys; How much time have you left? Seconds roll into minutes, minutes into hours, hours into days, days into weeks, weeks into months and years keep slipping on. Thank God for life. But how time flies! 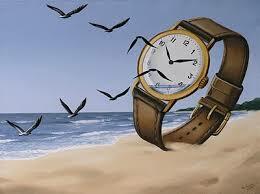 Time is one of the greatest life assets given to us by God, to use as we choose. We don't choose to have time; it is the exclusive prerogative of God to make time available to us. Life, long or short, ought to be well spent. Once the silver cod is broken and man goes to his eternal home, he is scarcely remembered but for his deeds. The deed of kindness: lending of a helping hand to others, caring for widows and fatherless, giving words of comfort to the grieved, meeting just needs - food to the hungry, water to the thirsty, cloth for the naked, care to the sick, succour to the forsaken - being eyes to the blind and feet to the lame will always be remembered long when a person is forgotten. At the end of a well spent life, the many lives that have been touched, the investment made in others and impact made in God's kingdom will linger on. A life worth living cares about others, dares for others and shares with others. Make it a life's purpose to be a 'helper of people's joy'; make others happy and successful. When at the end of your life's journey here on earth and others recall the role you have played in their lives, what would you be remembered for? Good or evil. What have you accomplished in your short or long sojourn here on earth? Have you discovered the purpose of living yet? Or, are your years wasted and full of regrets? Have you settled the all-important issue of life after death; are you saved and sure you are saved?